The D.C. Council this month approved changes to the District of Columbia’s marijuana laws that will allow those with medical marijuana prescriptions from outside the district to purchase cannabis there. That changed ranked as the biggest on a measure – called the Medical Marijuana Omnibus Bill of 2016 – that must now go to Mayor Muriel Bowser and the U.S. Congress (which oversees the district) for final approval. The new law also would allow patients in D.C. the right to go any of the five dispensaries in the district. The current law restricts them to using just one. Mike Liszewski, government affairs director at Americans for Safe Access, said in a news release that the law makes improvements over current regulations. He also said the bill, which the mayor is expected to sign, will then go to Congress for a 30-day review. Bottom line: the changes likely will not go into effect until spring of 2017. The portion allowing those from other states to buy medical marijuana in the district may not go into effect until late 2017, Liszewski wrote. The measure approved by the DC Council comes three years after medical marijuana first became available in 2013. The biggest change allows those with prescriptions from out-of-state doctors to purchase medicinal marijuana in the District of Columbia. While this will help those in the district who are enrolled in another state’s medical marijuana program, it also is expected to bring more money into government coffers. The district charges a 6 percent tax on medical marijuana sales. The removal of a rule mandating that the more than 4,000 medical marijuana patients in the district use the same dispensary – or pay a fee to switch dispensaries – also will have a big impact. Nikolas R. Schiller, co-founder of an organization in the district that advocates for cannabis user rights, told DCist.com that the change will prove beneficial to medical marijuana patients. Of all the areas that have approved medical marijuana, the District of Columbia affects the fewest amount of people. 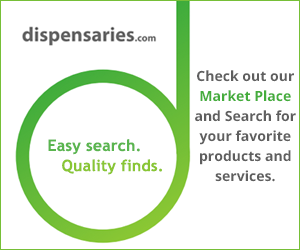 As of right now, the District of Columbia has 4,283 residents with medical marijuana cards. That’s less than 1 percent of the district’s population of 670,000, according to The Washington Times. In comparison, 2 percent of the 39 million residents of California have medical marijuana cards, as do 2 percent of Michigan’s 10 million residents. However, the change allowing those from other states to buy marijuana should raise the amount of marijuana sold in the district, as would a proposal from the mayor to double the amount of marijuana residents can buy (from 2 ounces to 4 ounces). The actions of the DC Council are the latest moves by governments across the country to changes and, in some cases, improve local marijuana laws. As legalization spreads across the nation – and without changes in law at the federal level – it pays for those who use medical marijuana to keep abreast of changes in regulations in different parts of the country.